When researchers followed more than 2400 individuals with an average age of 72 they found that the first heart attack was linked to elevated levels of homocysteine, not cholesterol. Homocysteine is a sulfur containing amino acid. It is a by-product of food metabolism and has been found to be at least 10 times more predictive of heart disease than cholesterol. Normally, the body quickly converts homocysteine into an essential amino acid that is required for many bodily functions. This conversion requires vitamin B12 and folic acid. The betaine enzyme is also used for this conversion. Under excess homocysteine conditions B6 is also required. The end product is eventually excreted in the urine. High levels of homocysteine damages and thickens the lining of blood vessels, oxidizes the LDL causing it to adhere to blood vessels and encourages lipid peroxidation and clot formation. The optimum serum homocysteine level is 8.0mmol per L. Homocysteine levels become elevated when insulin levels are increased due to large intakes of carbohydrates and low levels of available vitamins B6, B12 and folic acid. Other causes of elevated homocysteine levels are smoking, increased intake of red meat and fat, excessive intake of alcohol and birth control pills. When you over eat carbohydrates and you don't eat enough cholesterol containing foods as you've been directed to do by the American Heart Association for decades, a high level of insulin is released to manage the excess carbohydrates. This extra insulin will produce excessive levels of homocysteine and trigger increased levels of HMG CoA reductase enzyme in your liver to overproduce cholesterol. The liver works with insulin to keep the blood that bathes the brain with just the right amount of glucose for brain function. That means the level of glucose (breakdown product of carbohydrates) must be tightly regulated and kept from getting too high. If the blood sugar does get high because you're eating excessive carbohydrates, it's up to the liver to convert the excess sugar into usable energy. If your body cannot use all the energy the excess is stored as glycogen or fat. If the glycogen storing areas are full, the liver will convert the sugar into cholesterol or triglycerides causing the cholesterol and triglyceride level to rise. The daily turnover of cholesterol in your body is 1100mg per day. Approximately 800mg of cholesterol is absorbed from the animal products (eggs, butter, cheese and meat) that you eat. Only half of this the body absorbs. The rest is excreted unused. 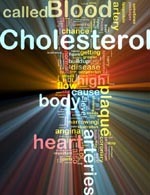 For most of the population any increased consumption of cholesterol drops the production of cholesterol by the body. If you eat eggs and have enough B6, B12 and folic acid available homocysteine will be converted into methionine. Ninety percent of individuals respond to vitamin and mineral supplementation to bring down homocysteine levels within 2 -6 weeks.